With the launch of Zenfone Max Pro M1 in India earlier this year, Asus showed that the company knows how to compete with the likes of Xiaomi and Honor. The Max Pro M1 is still one of the best phones that you can get around Rs 11-13K as it features a Snapdragon 636 processor, a 5,000mAh battery, stock Android and more. On December 11, the Asus Zenfone Max Pro M2 will be launched, and in the past few days, we got rumors about triple cameras on the rear. But today, the official press render of the phone revealed that the story is completely different. The official press render of the Asus Zenfone Max Pro M2 revealed that there are dual cameras on the back and not three. The dual cameras and the flash are placed in a single module, unlike the Max Pro M1 that has them placed separately. The fingerprint scanner is also placed on the back. 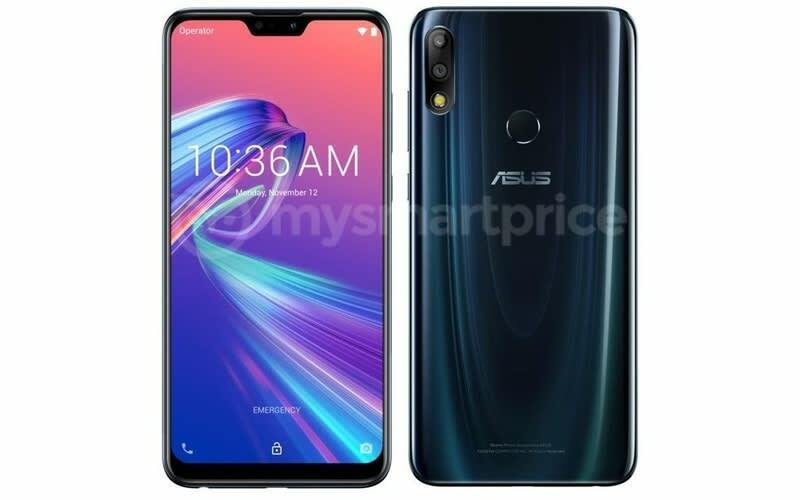 On the front, the phone has a notch that is similar to the notch on Asus Zenfone 5Z. It isn’t a waterdrop notch, so it isn’t small, but it is also not that big compared to notch on phones like Redmi Note 6 Pro that was launched today in India. There is still a big chin on the bottom. 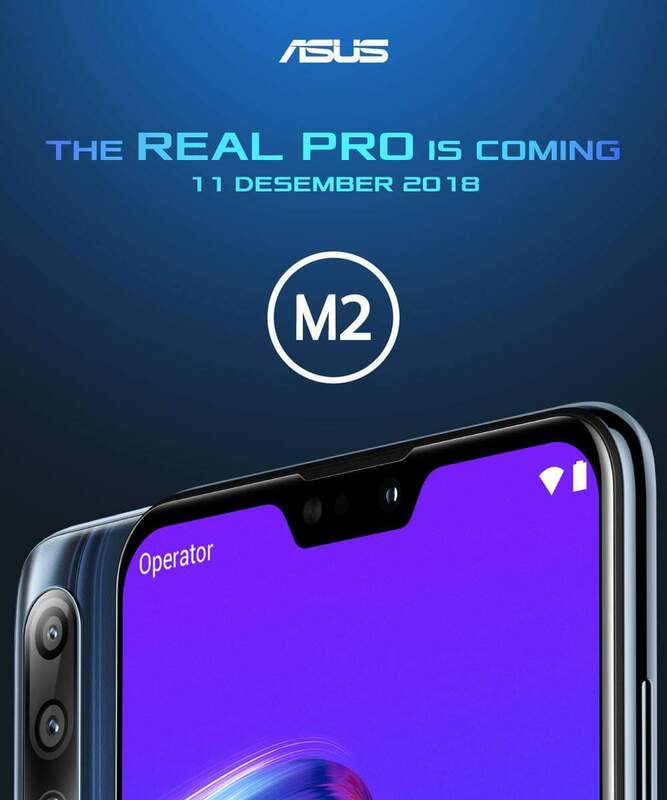 Like the Zenfone Max Pro M1, the Max Pro M2 will have stock Android. Don’t mistake yourself into believing that the phone has a glass back. There is a polycarbonate back with a glossy finish to make it looks like a Glass back. This is similar to the Realme 2 Pro that has the same plastic back panel. The Asus Zenfone Max Pro M1 has a 6.26-inch Full-HD+ display with a 19:9 aspect ratio and the Gorilla Glass 6 protection. The Max Pro M1 has no Gorilla Glass protection, and the users didn’t like this thing about the phone. It is good to see that Asus has added it in the successor. The chipset powering it is the Snapdragon 660. On the rear, there is a primary 12MP camera with f/1.8 aperture and Sony IMX486 sensor, coupled with a 5MP depth sensor. There is a single 13MP front camera with f/2.0 aperture. The phone has a 5,000mAh battery and runs stock Android out of the box. It is a shame that the phone still has the micro USB port and not a Type-C port. The Asus Zenfone Max Pro M2 will launch in Midnight Blue and Cosmic Silver color options.